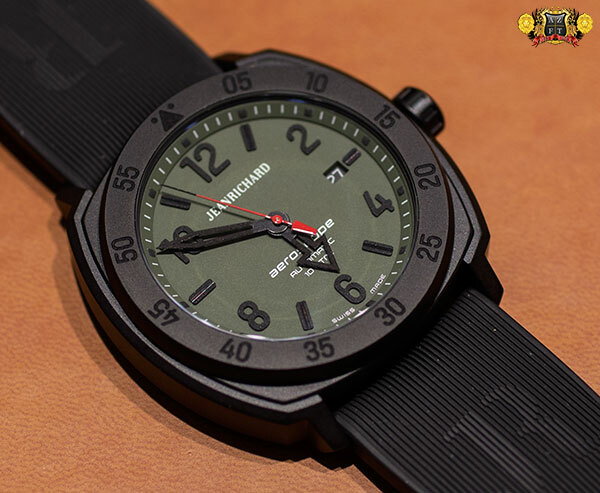 This year had an entire arsenal of new watches, ranging in a wide variety of color combos, new techniques and impressive, stunning designs. 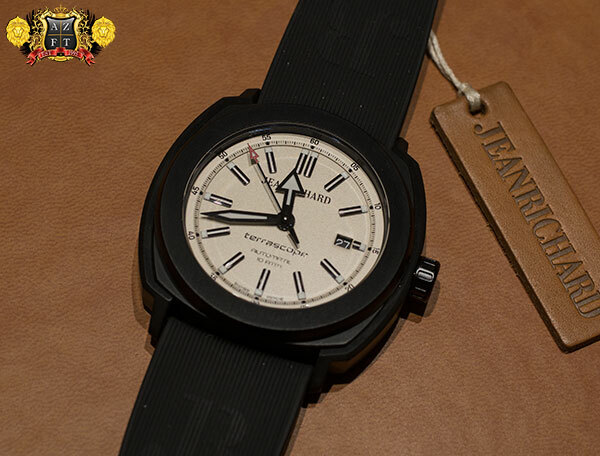 We are proud to bring you all of the new models introduced by one of our favorite brands, JEANRICHARD. We’ve seen some intro’s online of some of the new models introduced by the brand. One of which was their Nocturnal collection. 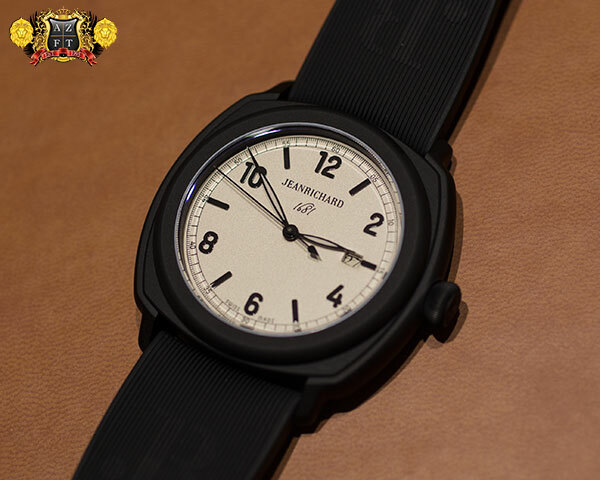 The 1681 series has an all black sand blasted DLC finish with black matt dial, and features their in-house manufactured JR1000 movement. Very similar to the all black version, JR also introduced a beige grained dial variation, adding legibility to the line up. Also added to the 1681 lineup is a new take of PVD coating in brown. The sandblasted finish looks very impressive in person, and will actually patina over time. Basically, over time, the finish of the PVD color will start to slightly change color over time, giving even more character to an already gorgeous piece. This patina is something we have not seen in a coating finish before. 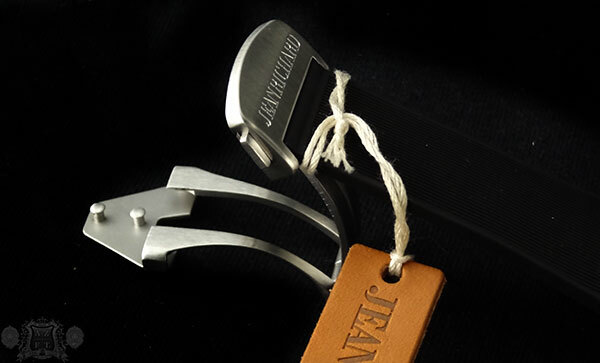 Pretty incredible stuff by our friends at JEANRICHARD. 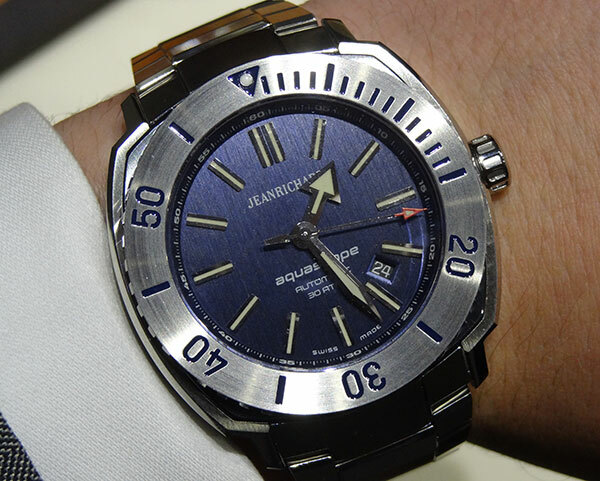 The 1681 series has also introduced 2 new blue lacquer dials as seen before in there Terrascope series. 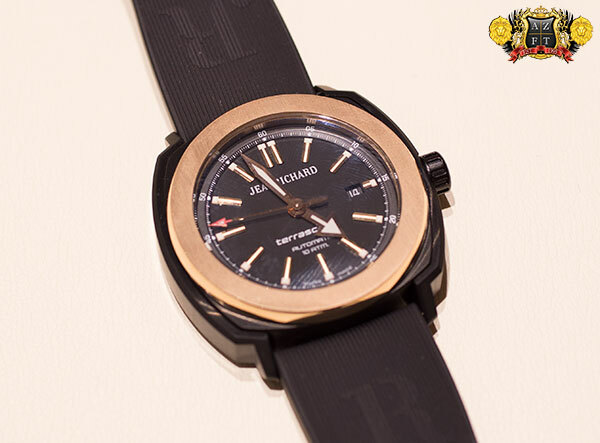 The first model is pictured in in an 18k pink gold and features there JR1090 movement, with small seconds at 9:00. This model will come on a dark blue alligator strap. 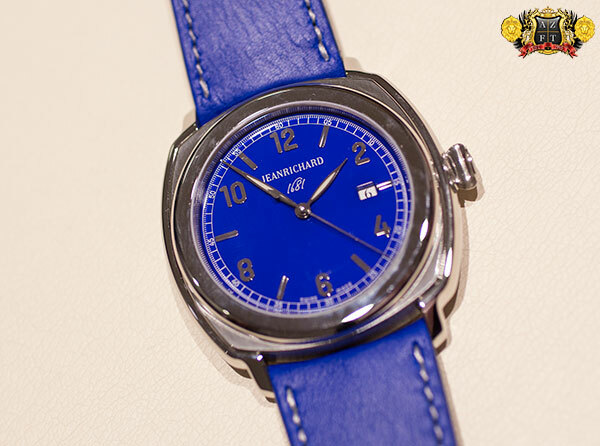 The stainless steel variant with blue lacquer contains their JR1000 movement with central seconds and arabic numerals. 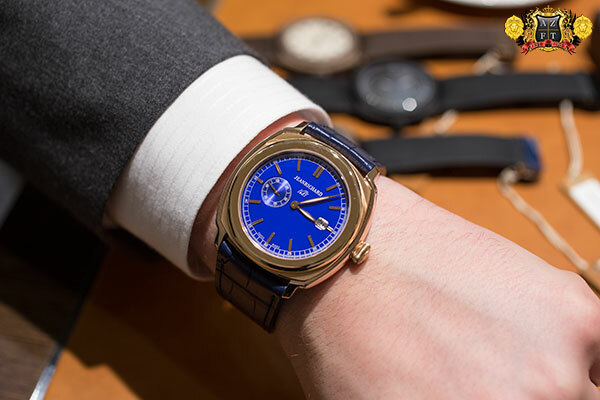 The highly polished case with vibrant blue calfskin strap are another great addition to the series. As a whole new variation of the Aeroscope series, the 3 handed Aeroscopes will come in a nice variety of matt colors including, white, black, grey, blue and green. 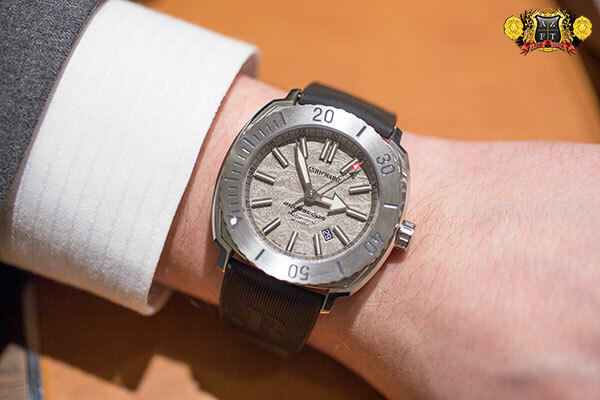 All the cases on the 3 hand Aeroscopes will come in a sandblasted finish with 60 minute bezel. 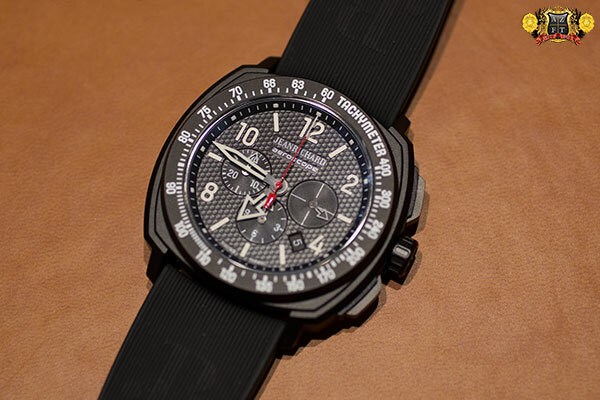 This is a new take on the finish, as previous Aeroscope chrono’s had satin and high polish finish. Another interesting attribute of the line up is the numerals/indexes used in the series. They are actually 3D printed out of luminous material, making the numerals glow not only on the top, but also on the sides. A new and unique feature by JR. The matt colored dials are outstanding looking in person. The military green especially. These are not the typical vibrant colors you typically see from the brand. 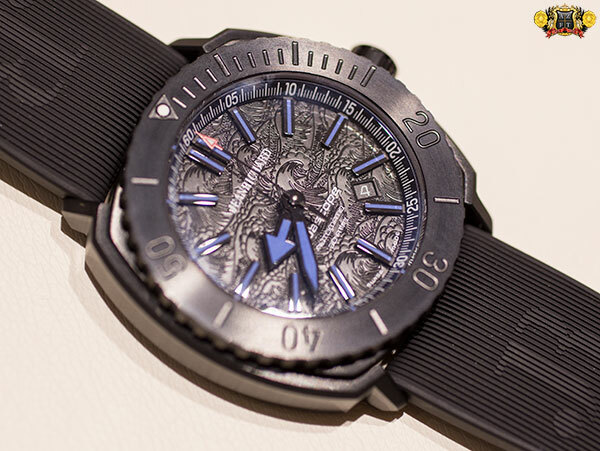 The dark navy blue dial is also very impressive. The 44mm cases on both the blue and green are finished in a sandblasted DLC finish, giving even more variety to the line up. 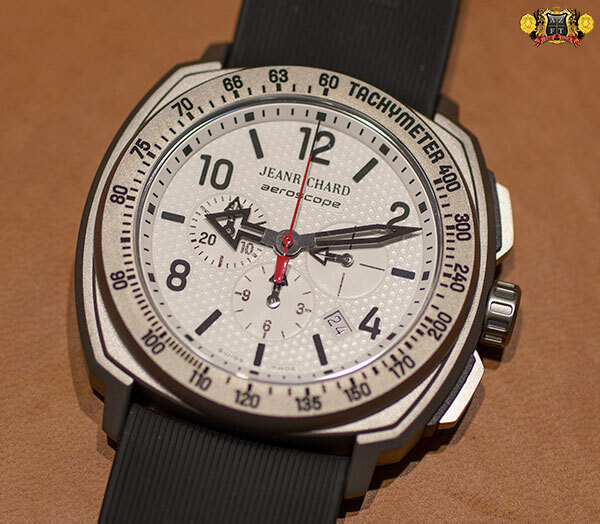 Also newly added to the Aeroscope series is a sandblasted set of chronographs. 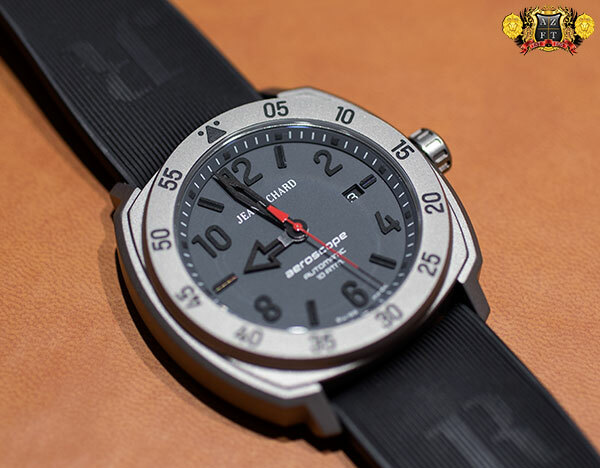 The case design is still the same and also still uses grade 5 titanium, but the new finish makes it clear visually that these models are indeed titanium. 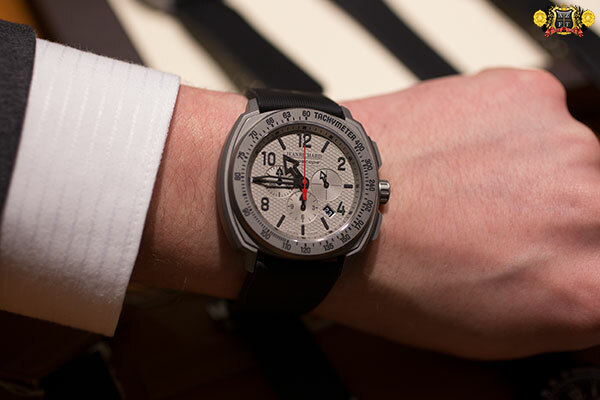 The bezel on these new Aeroscopes now feature a tachymeter instead of a 60 minute counter. 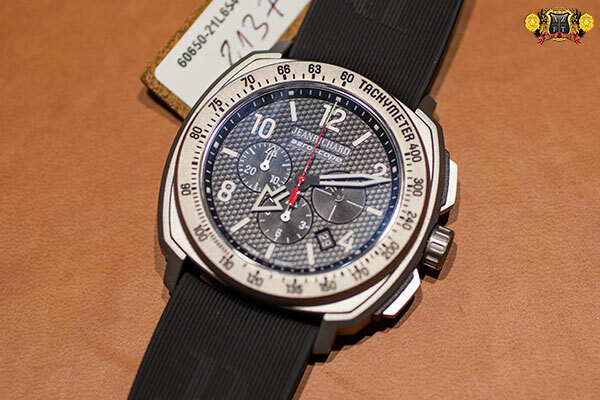 Very appropriate for a chrono, and also contributes a lot to the look. 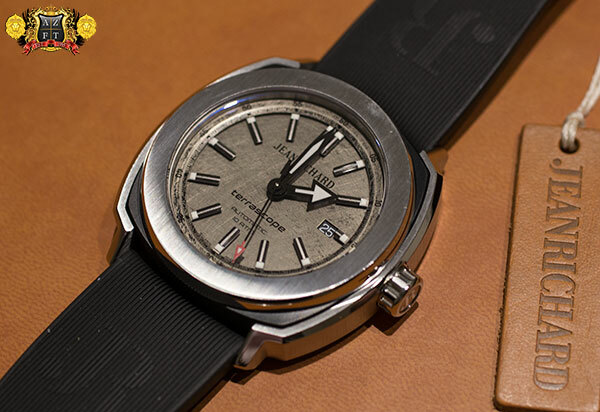 This new series also has a new dial design. 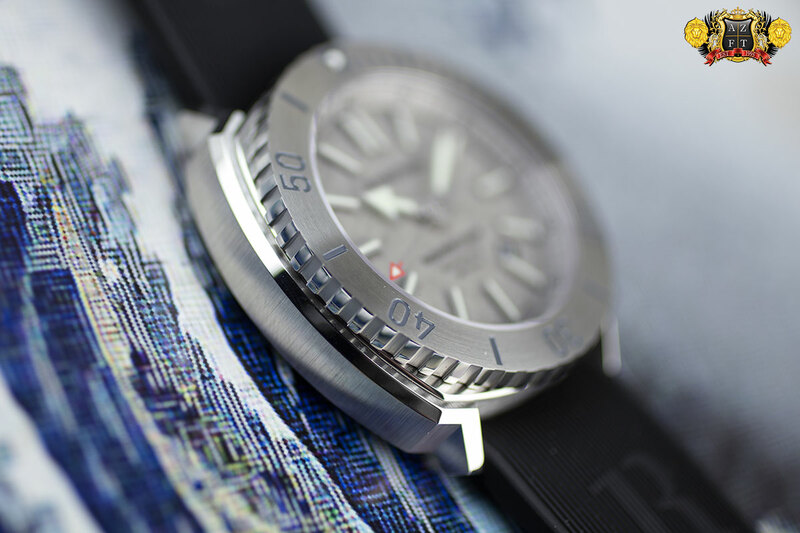 Instead of using the vertical satin finish, they will all have a very cool honeycomb textured dial. It’s not subtle, easily being seen at first glance, and looks incredible in person. There will as be a sandblasted DLC variation in the series. Only the black honeycomb dial will come in the DLC case. The tachymeter and numerals will be highlighted in white, and the red second hand gives that little bit of extra character. 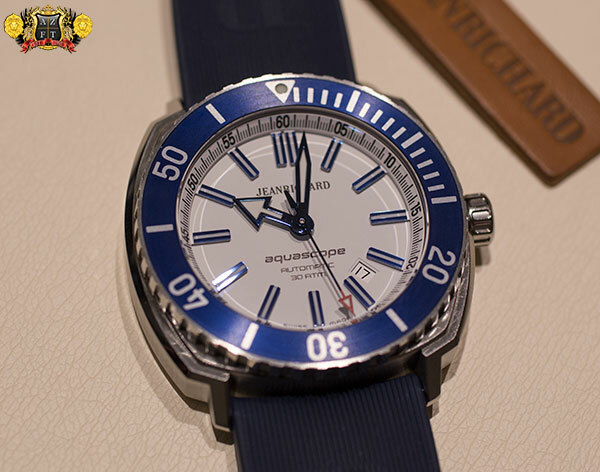 The Aquascope series added a few new models, and one of the favorites in the JR booth was the new blue bezel with white matt dial. 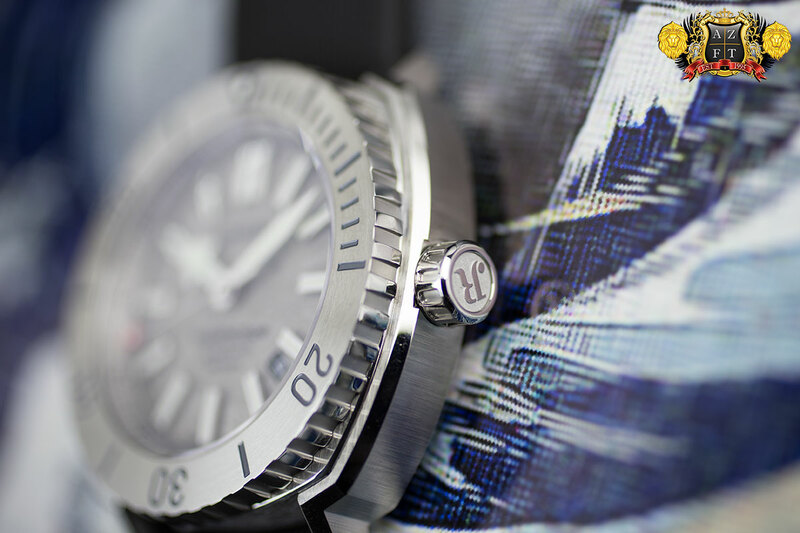 The indexes are slightly different, being attached to the chapter ring instead of the dial, making them float above the dial. Very impressive. The pre-Basel launch of the “Hokusai” series was incredibly well received even before landing here in Basel. 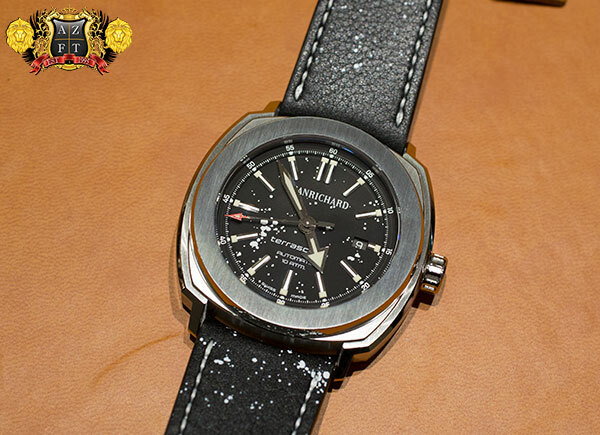 The series features beautifully embossed dials with the artists “Great Wave of Kanangawa” texture. 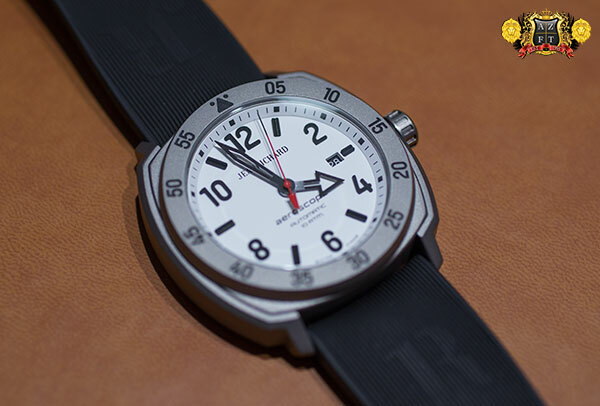 1st in the series is the grey dial, which is far more impressive in person as compared to the pictures online. 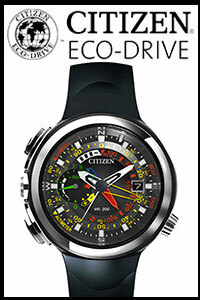 All of these models will be very limited, and the grey dial in particular will be exclusive to AZ Fine Time in the USA. One of my personal favorites is the blue variation. 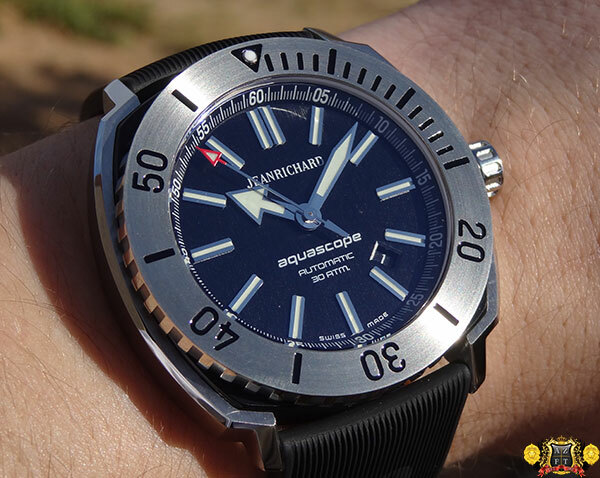 I’ve always loved the standard Aquascope, blue dial, and this model just bumped that love up one more level. Seeing as these pieces are made to celebrate 150 years of Swiss – Japanese relations, I felt it was only appropriate to add one to my collection. 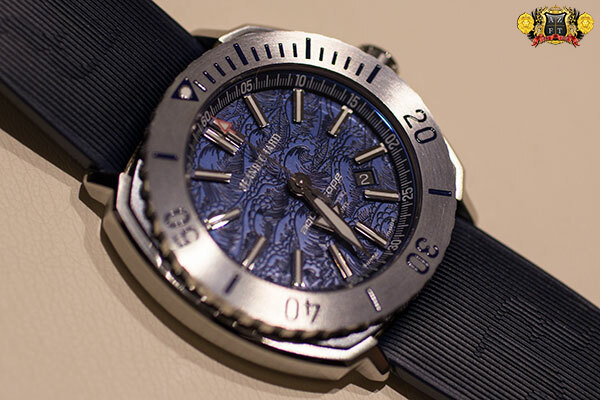 This blue “Hokusai” is inbound and soon to be on my wrist. There were also 2 surprise models in the “Hokusai” series. 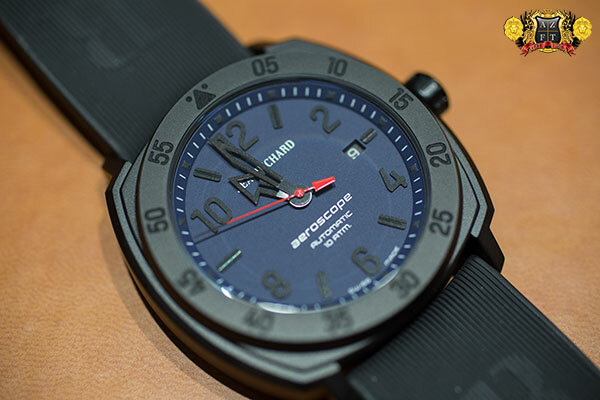 The 1st is black dialed, PVD coated variant, with cool blue accents. The second model is virtually the same, but using luminous red accents for the indexes and hands. Both pieces are stunning in person. 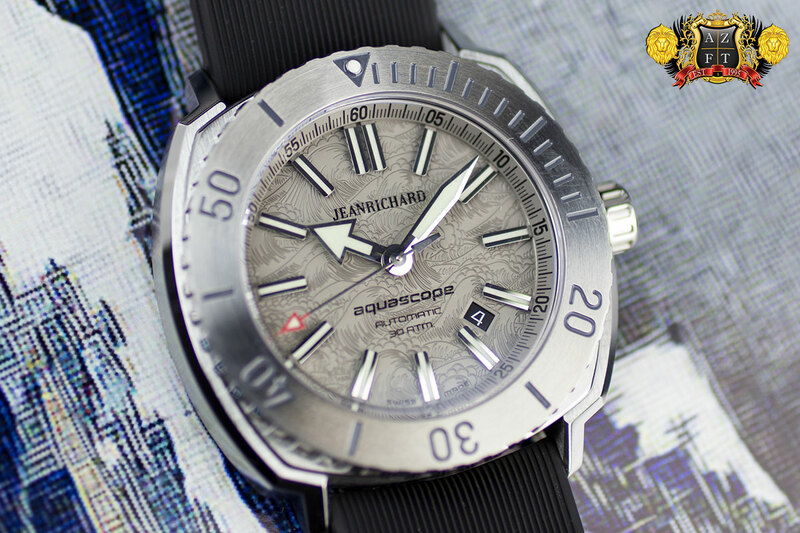 The Terrascope series had a whole lot of new models added to the line. 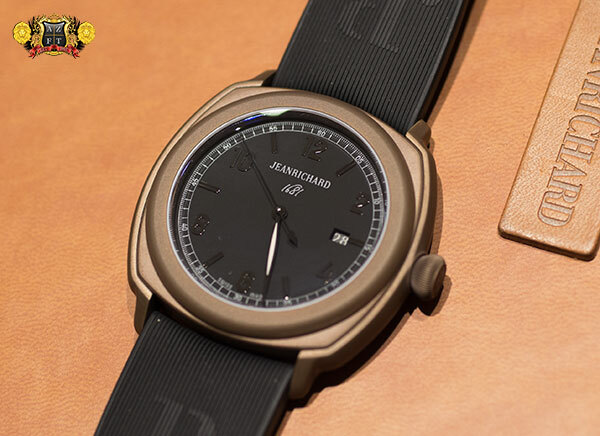 Two of the models have a very unique bronze dial, that has a scratched up texture to it. These are both very impressive in person. 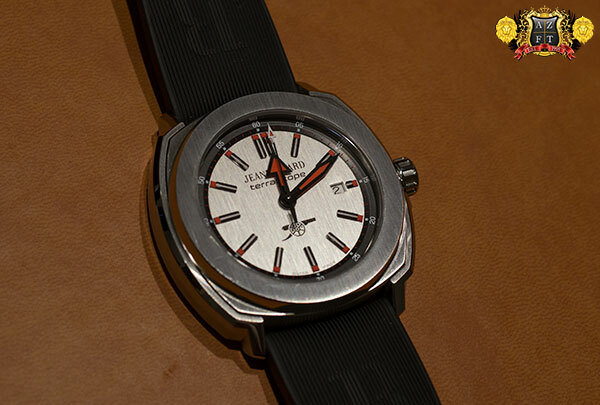 One of which is all steel finish and comes on a matching brown pin ostrich strap giving a more dressy look. 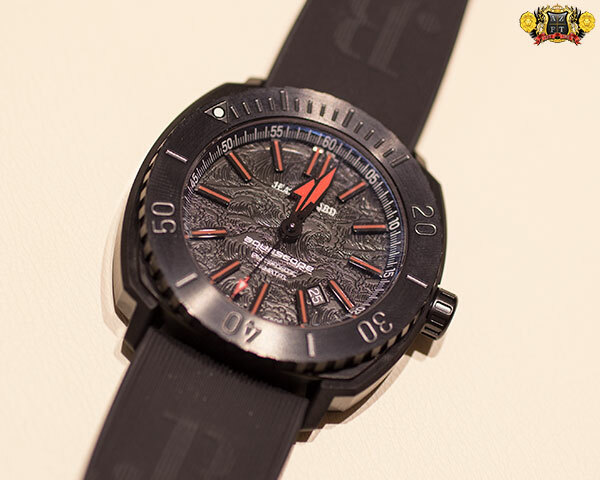 The other comes on rubber strap with PVD coated inner case, giving a little more sportiness. Both look outstanding. 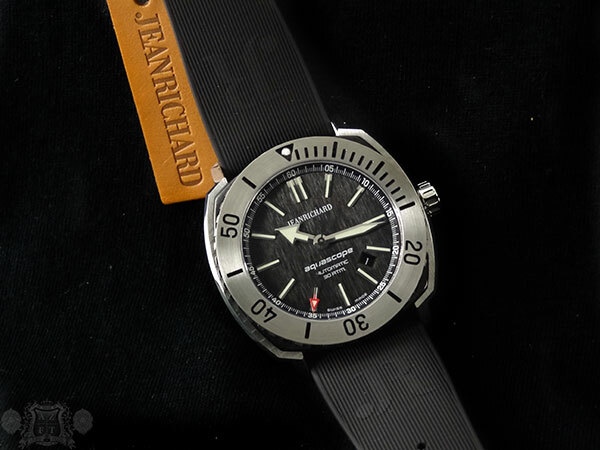 There are quite a few black toned models in the assortment of new Terrascope’s. 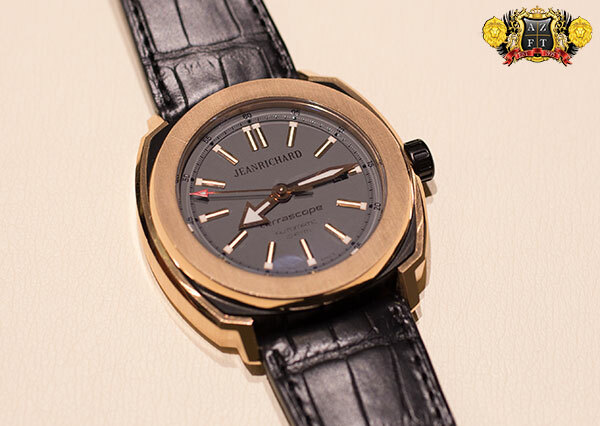 The color combos are excellent, varying DLC with combo’s of gold tone on the dial or bezel, or case sides. Basically, you have a ton of new, ultra-cool models can touch on any style. 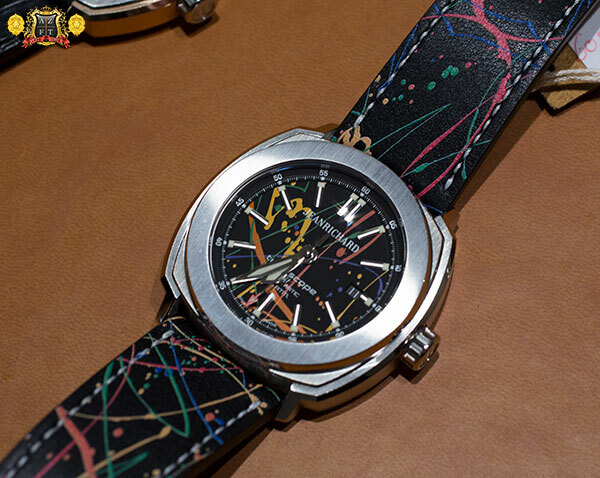 A new art series was also debuted with very colorful, unique paint splash designs on the dial and strap. There is one model in the line up that does not have color, but white paint splashes. 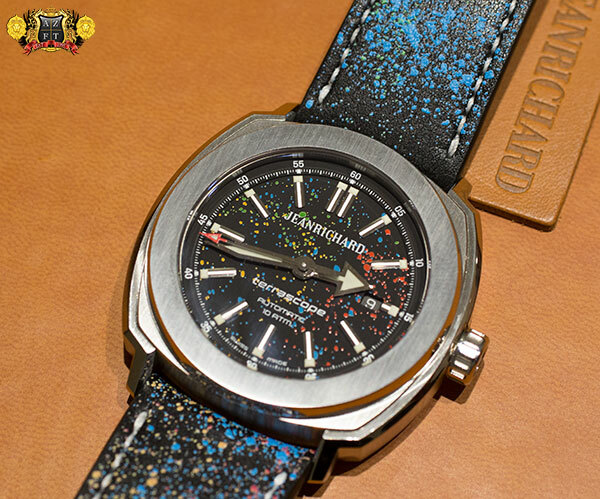 Probably one of the most unique and colorful JR’s is the new Terrascope that has a specially treated aluminum case. A green bezel, orange inner case and blue case side inserts make for something we have not seen before. 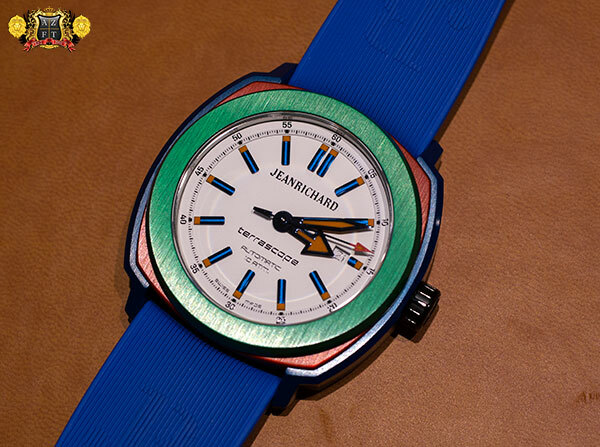 The white matt dial has blue indexes with orange luminous material at the tips and on the hands. The case back on this piece is the only part not treated aluminum, but titanium, ,keeping the weight extremely light. 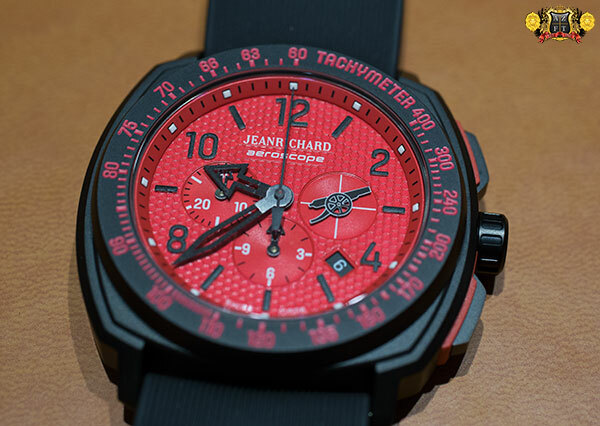 In collaboration with their new partner Arsenal Soccer Club, JEANRICHD has launched two new models with the team. There will be a DLC coated Aeroscope chronograph with red honeycomb dial, and red carbon composite bumpers around the pushers. 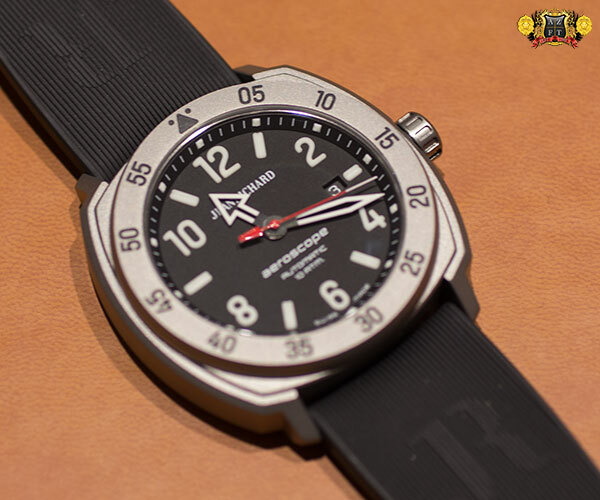 The continuos running second hand sub-dial has the Arsenal cannon logo for the hand. 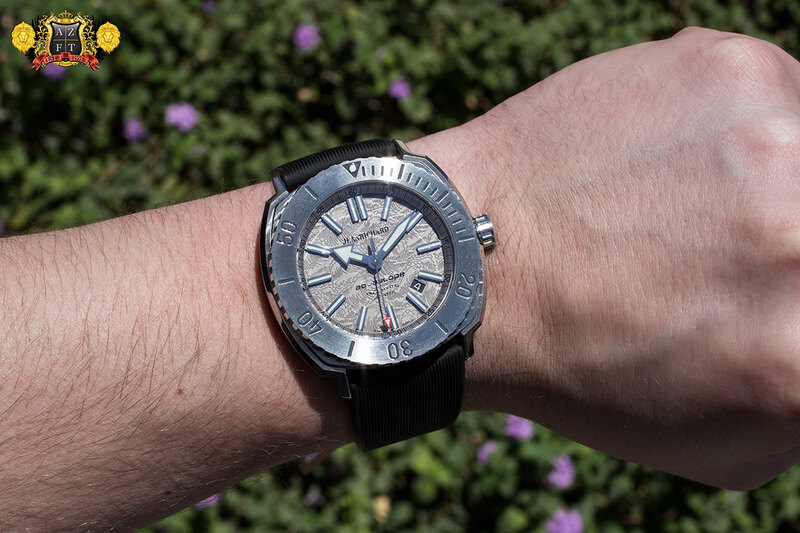 The Terrascope is slightly more subdued, with vertical satin silver dial, black chapter ring, and red luminous material at the tip of the index and for the hands. The Arsenal cannon logo is located right above the 6:00. 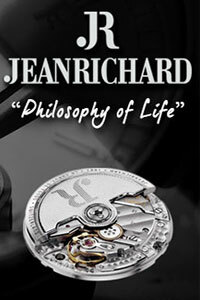 Tons of great new things from JEANRICHARD this year, very exciting and most all of these products should be out by June! 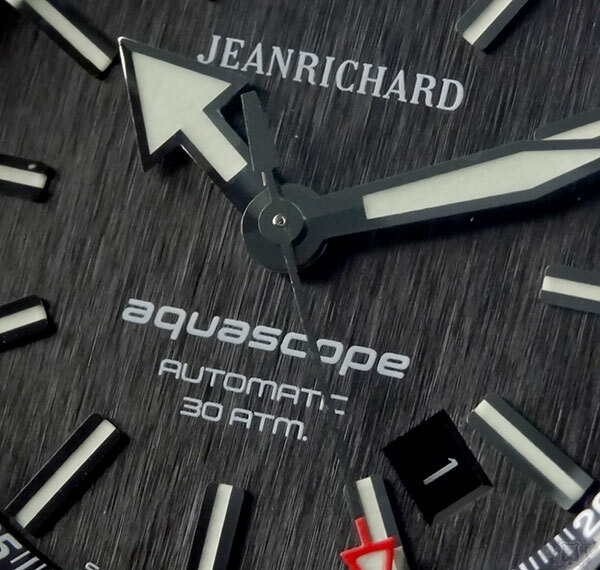 Inspired by exploration of the sea, the JeanRichard Aquascope concludes our series of introductory posts about our newest line. 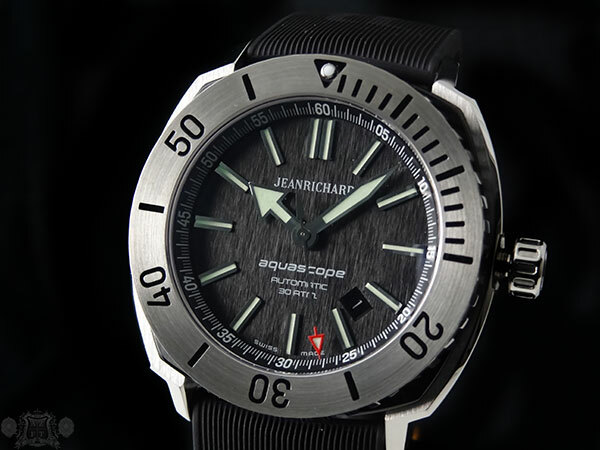 The Aquascope 300m Diver is another great option from the JR lineup, taking the elements found with rest of the brand and putting the functional twist necessary for an elegant but sporty dive piece. 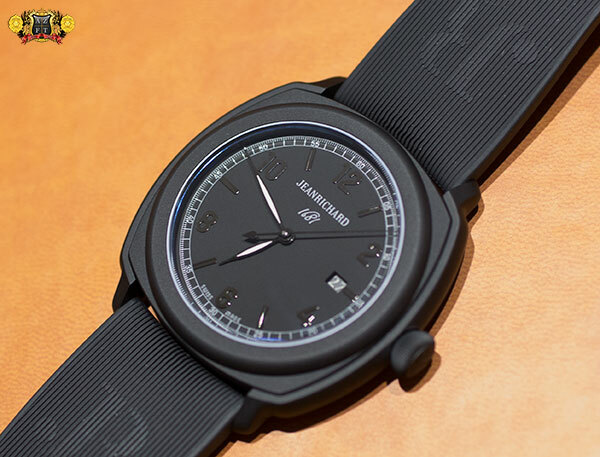 The dial on this model is their vertical satin black finish with a depth and detail to it that contributes a ton of character and can easily keep the wearer staring. The applied indexes, large hands and red arrow tipped second hand also pay a nice compliment to the dial, allowing for not only great legibility, but also a cool design that is simplistic but detailed. 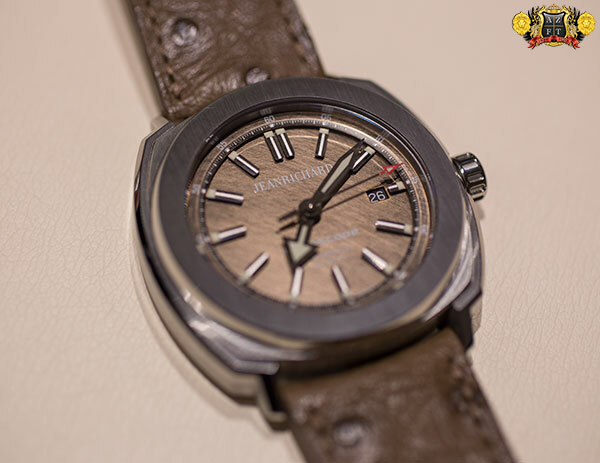 As with all JeanRichards, the elaborate and beautifully finished case is very impressive. 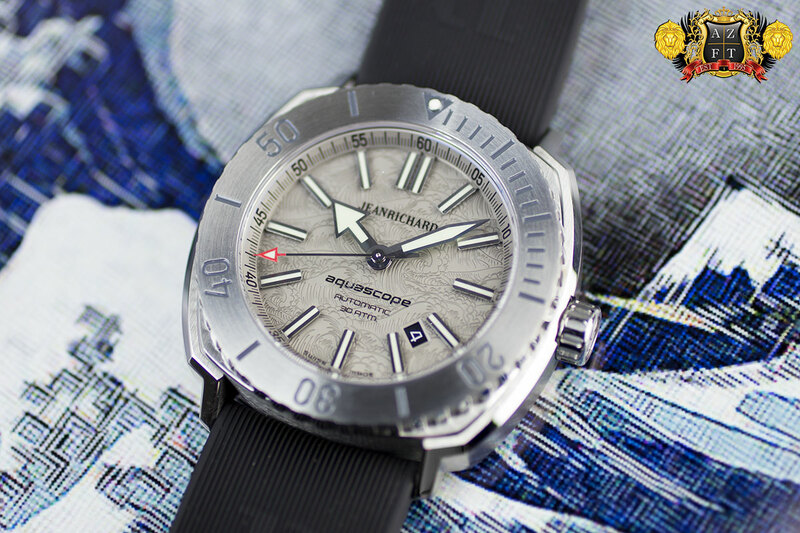 With the Aquascope 60400-11A602-FK6A, you have a 46mm wide, 12.6mm thick stainless steel case with black DLC coating on its inner case and stainless steel inserts on the outside of its cushion shape. 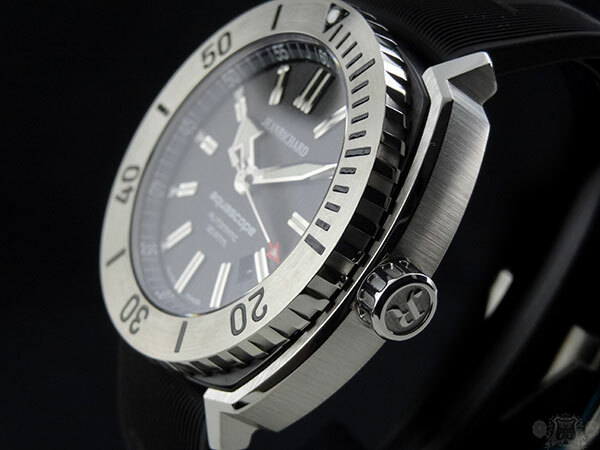 The bezel is stainless steel and has a smooth operating uni-directional 120 click ratcheting bezel. 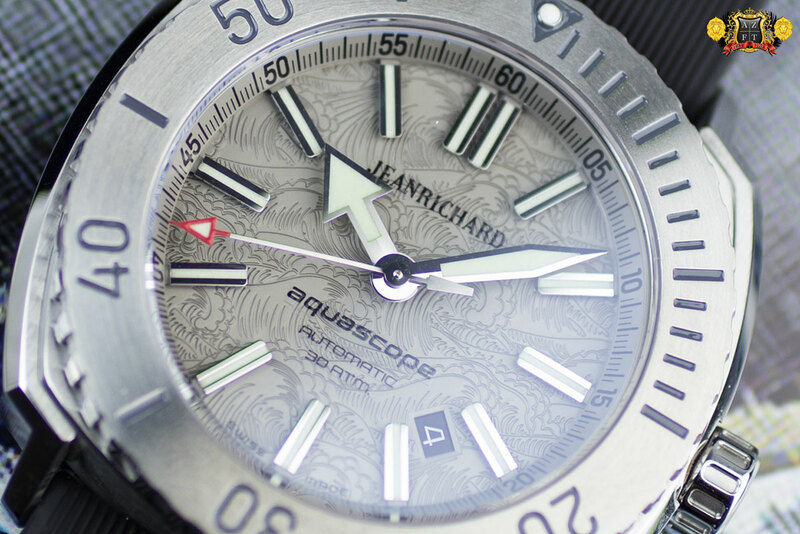 The Aquascope’s are mostly a vertical satin finish on the case, but also have a very high quality polished finish that add an incredible amount of detail. 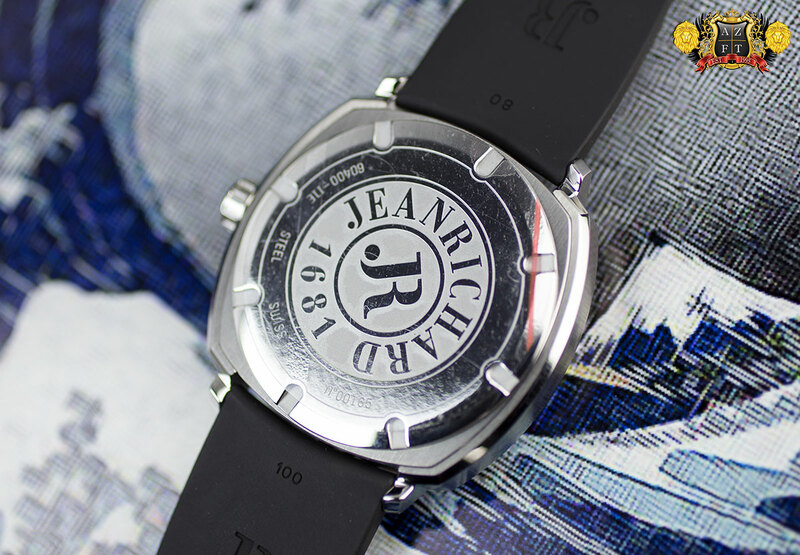 This model features a ribbed rubber strap with JR logo faintly embossed on each side. 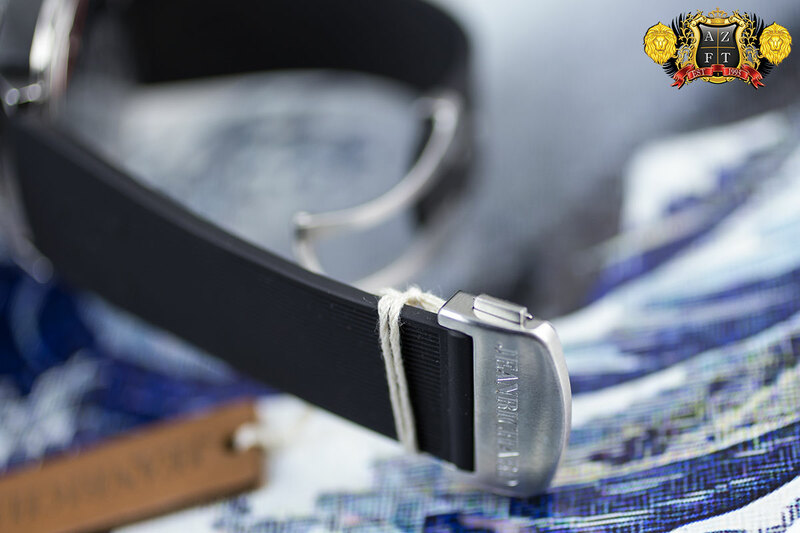 There is also a dual push button deployment clasp for a secure and sturdy wear. 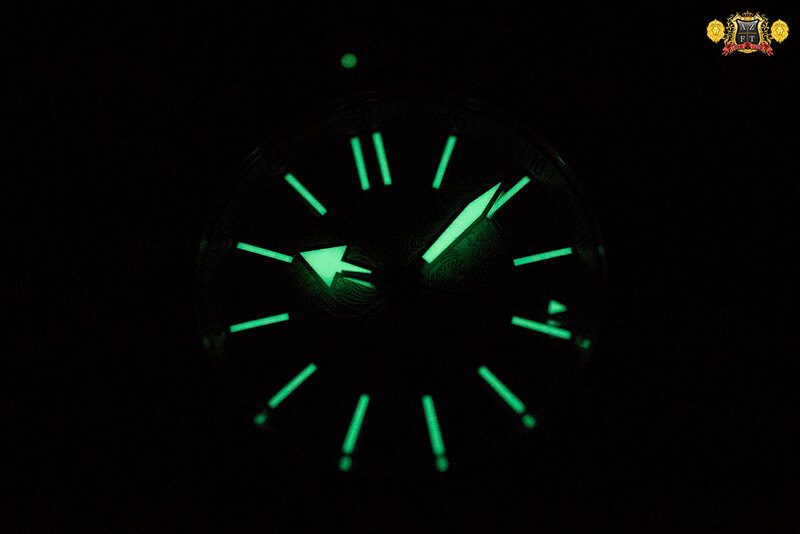 The movement utilized for JR’s Aquascope Diver is their JR60. 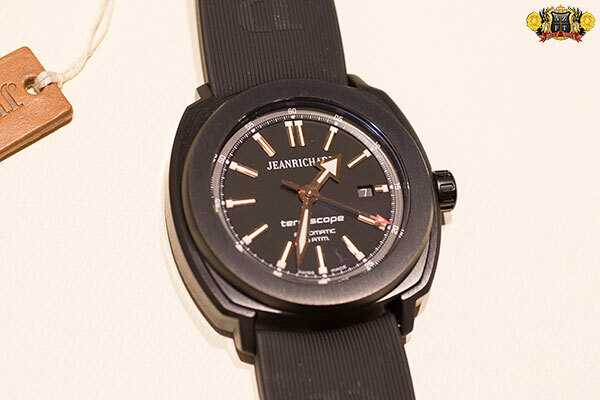 The JR60 has 26 jewels, 28,800 bph and a minimal of 38 hour power reserve. 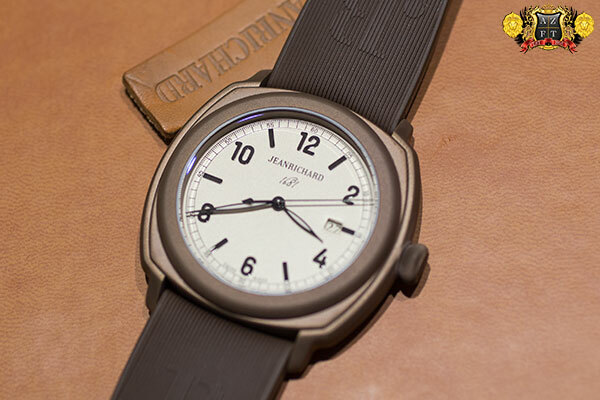 The self-winding movement has a smooth manual wind feature, hack and date display between 4:00-5:00. 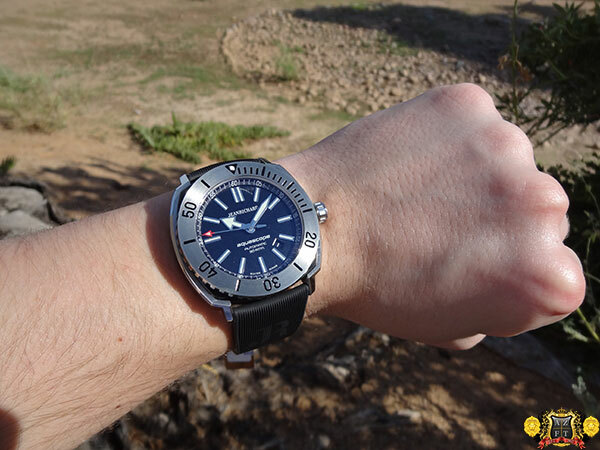 The luminova on this piece is quite impressive being used on every index as well as all three hands. 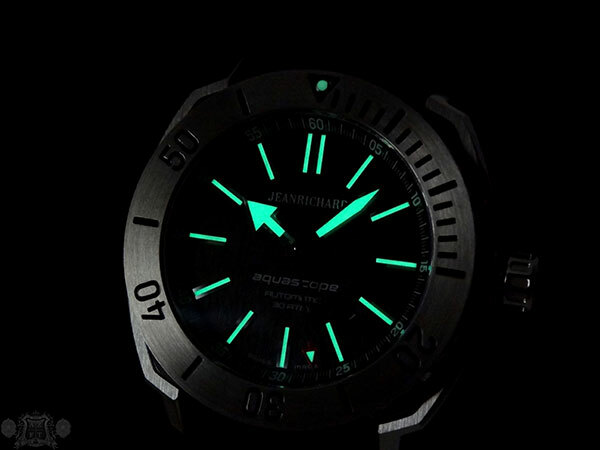 It is obvious it is heavily applied as the watch glows tremendously well in the dark. 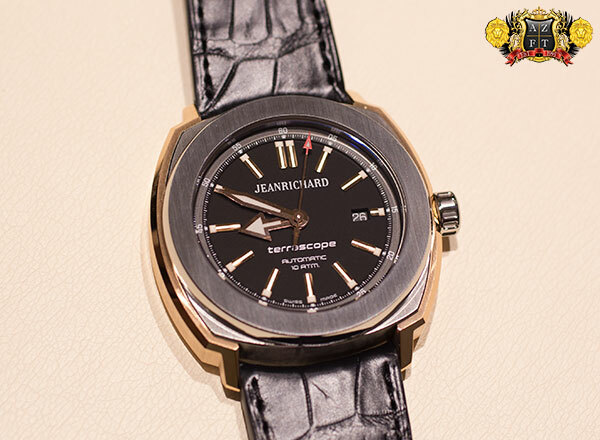 With a ton of great attributes, the JeanRichard Aquascope Diver Black Dial 60400-11A602-FK6A retails for $3,200. 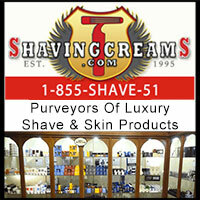 As always, if you have any questions, please feel free to call us at 1-800-486-3996. 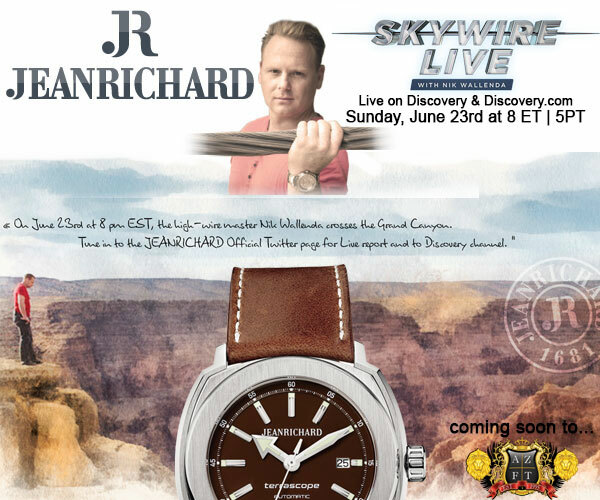 Don’t forget to check out more of the JeanRichard collection on AZFineTime.com. 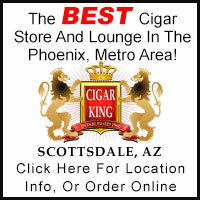 Arizona Fine Time is proud to announce its newest addition to our line up… Jean Richard!